Albion took Watford apart in the first round of the FA Cup before a 9,283 Vicarage Road crowd this afternoon. Watford, in the wrong half of Division IV, were outclassed and lucky to escape with a 3-0 hiding. 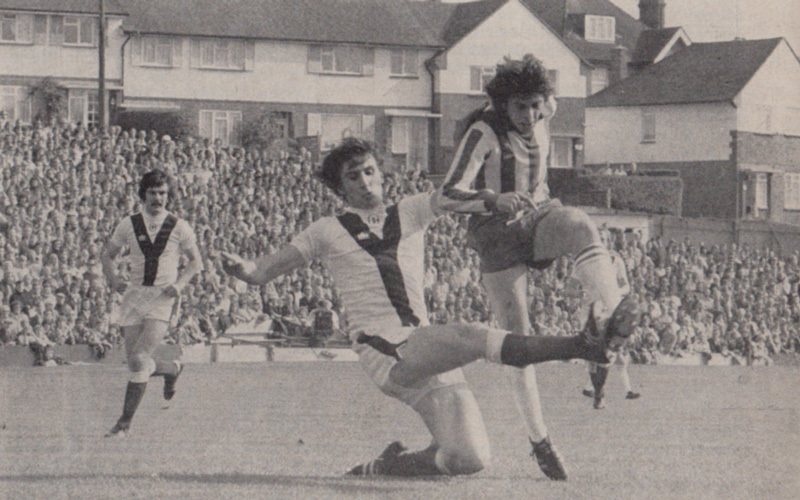 Albion had it all their own way, taking the lead at 32 minutes through Neil Martin. 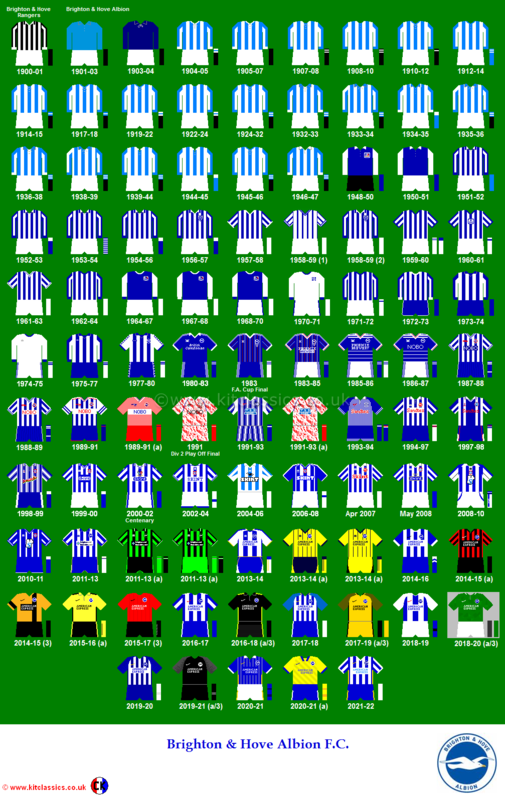 A brief Watford revival was snuffed out as Albion turned on the power and Fred Binney sewed it up with goals at 55 and 82 minutes, bringing his tally for the season to 13. Albion were given a great ovation by fully 2,000 fans, many of whom had travelled by charter train. 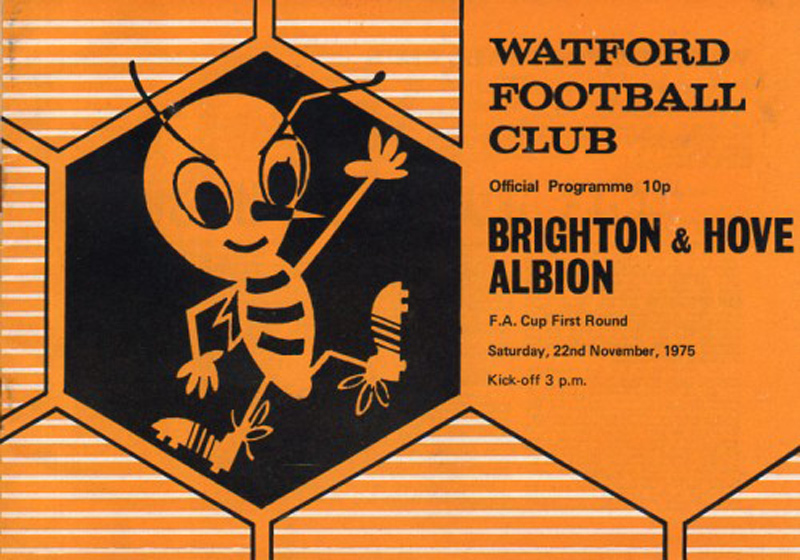 It was one of Albion’s best Cup performances in recent seasons and their first win at Watford in six visits. 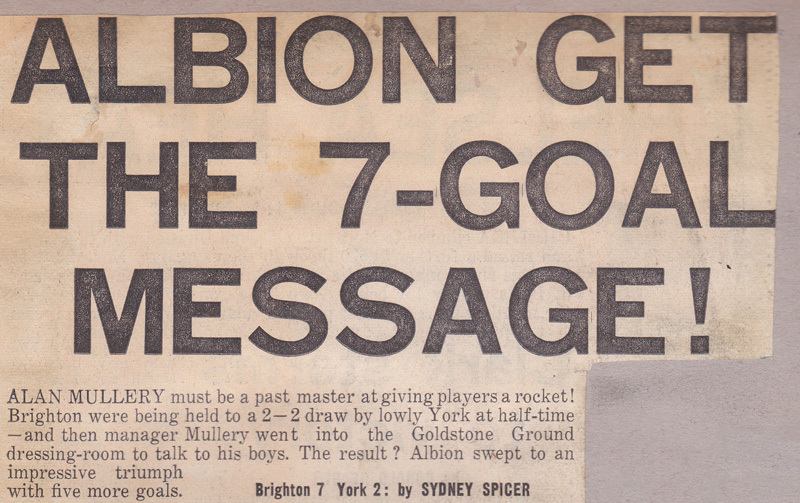 This was Albion’s fourth away win and quite the most emphatic. 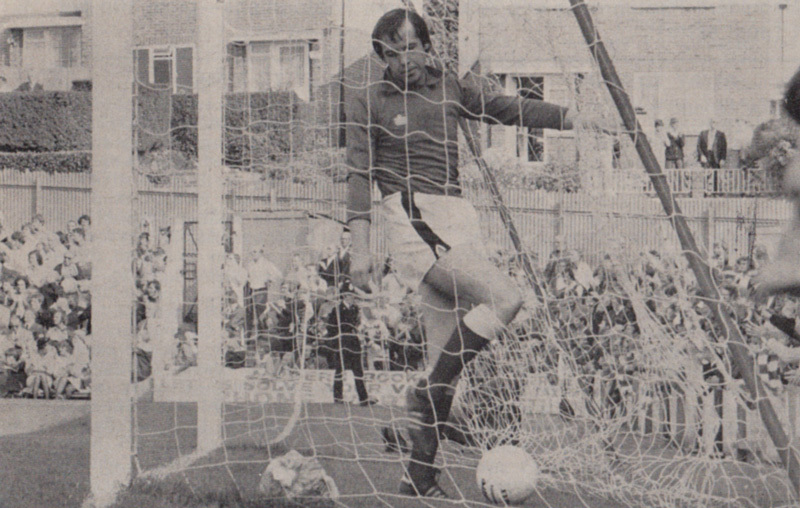 Mellor put Watford in a state of panic with a fierce cross that caught Rankin out of position but at this early stage there was only one team in it. Watford had a goal disallowed at 20 minutes when Bond crossed smartly and Horsfield hooked the ball into the net, but was ruled to have handled. 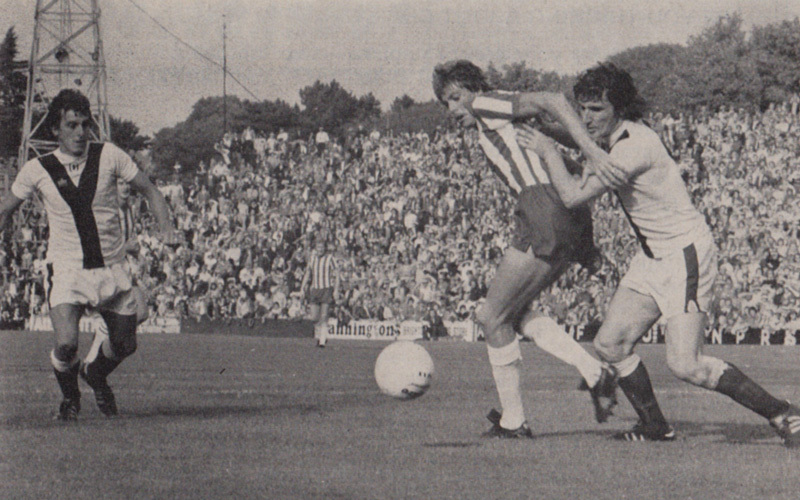 Tiler had three fine runs and each time Watford resorted to desperate measures to check Binney and Martin (twice). Then Lees was glad to turn Fell’s low cross behind and Joslyn was a wee it lucky when he headed clear but only just missing the far post.The pressure ultimately brought a goal at 32 minutes. 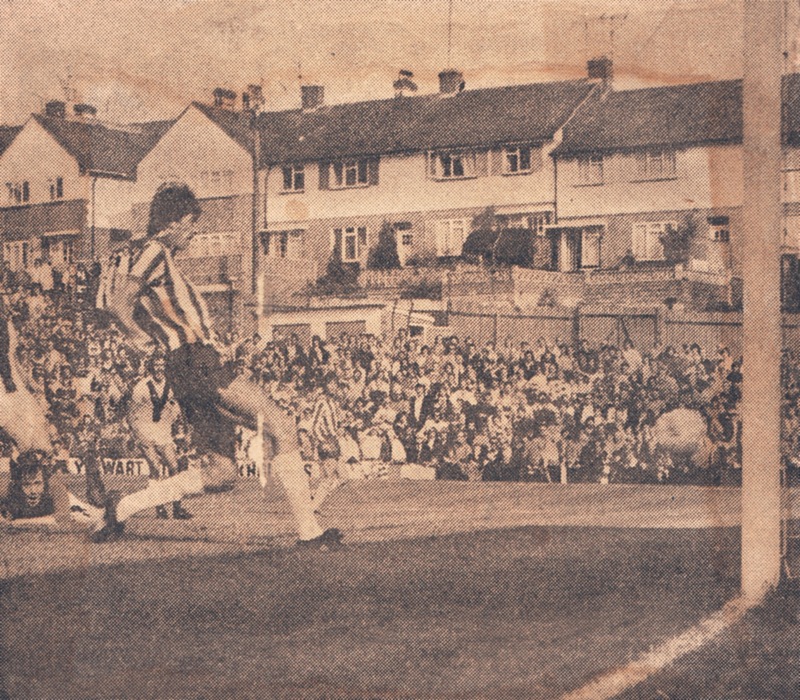 Fell took Albion’s ninth corner, Mellor ghosted away from his shadow and headed the ball on to the far post where Martin met it at full pelt and blasted Albion into the lead from point blank. After 56 minutes Binney scored his 12th goal of the season after Mr Daniels had played the advantage rule when Martin was fouled on the half-way line. The ball then ran to Mellor with Mr Daniels waving play on and the pass arrowed fully 25 yards to Binney who timed his run to perfection. He accelerated past Garner and as Rankin came out drilled a brilliant goal. 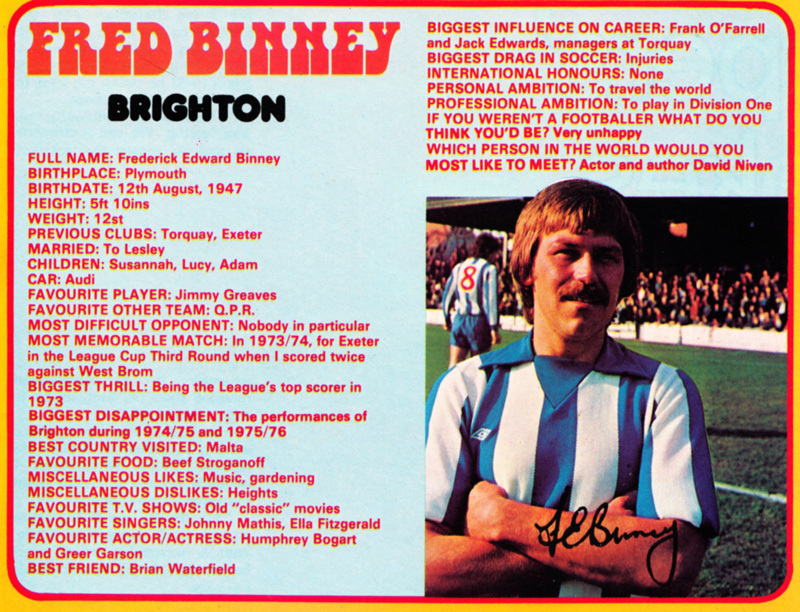 Eight minutes from the end Binney scored a classic goal. Just outside the box he gained possession and with his back to goal did not seem to pose any danger – or at least so Watford thought. Within a flash he turned like lightning and placed a low left-footer to the far corner, catching Rankin wrong-footed. 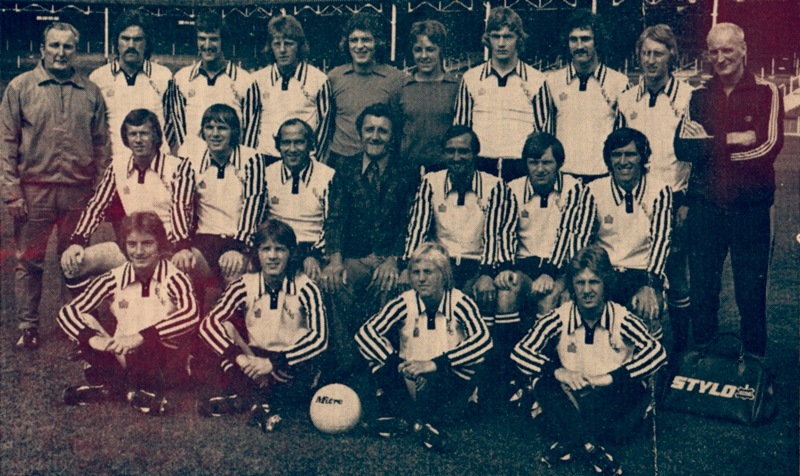 Albion: Grummitt, Tiler, Wilson, Machin, Piper, Burnett, Fell, O’Sullivan, Binney, Martin, Mellor. Sub: Kinnear. Watford: Rankin, Howe, Akers, Joselyn, Lees, Garner, Scullion, Bond, Horsfield, Jenkins, Walsh. Sub: Greenhigh. Referee: Mr B.H. Daniels (Brentwood). 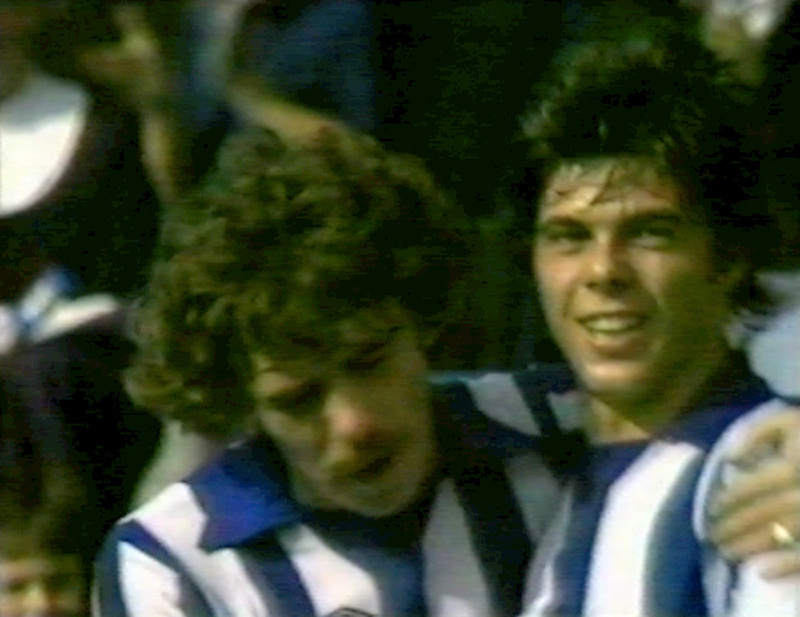 The victory was Albion’s fourth on the trot. 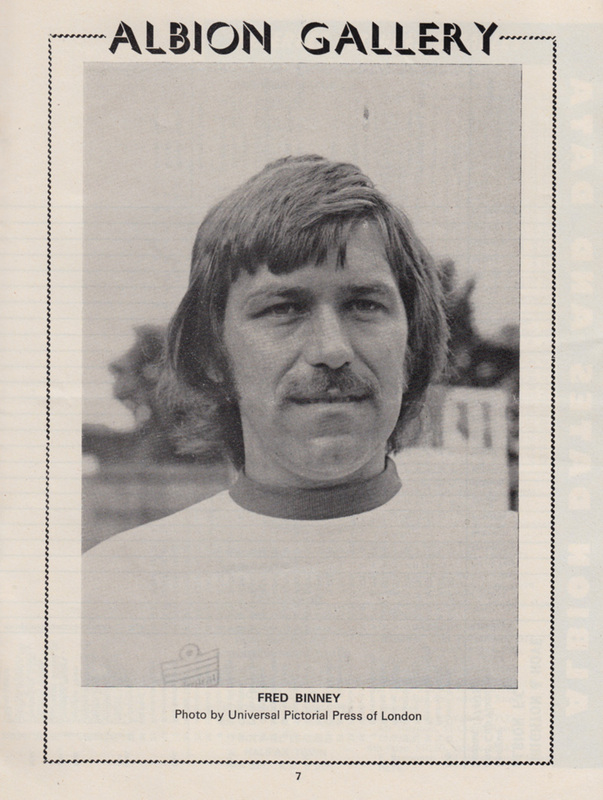 It was helped by Fred Binney’s outstanding goal touch. He was in a glorious spell of seven goals in just six matches. 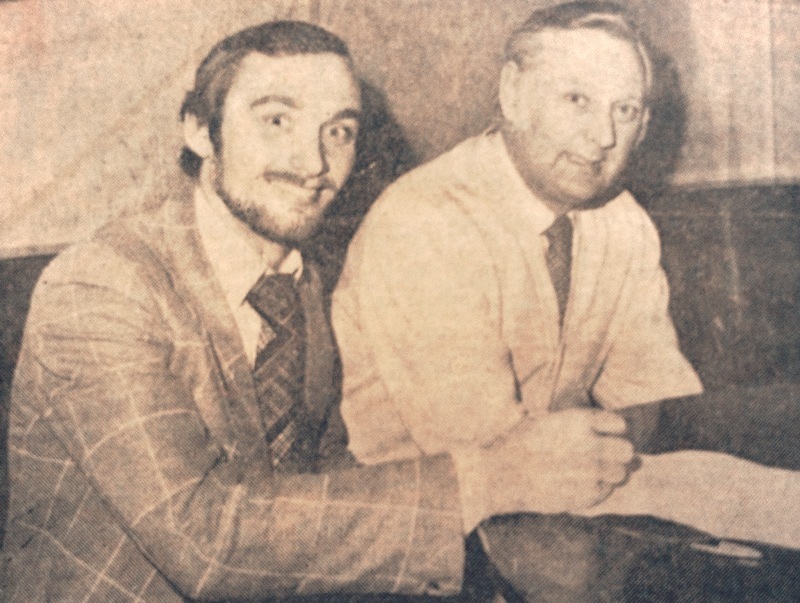 Despite Fred being on the scoresheet again on 3rd January 1976, Albion’s interest in the FA Cup was ended at the third round stage, losing 2-1 at the Goldstone to Southend. Through doing The Goldstone Wrap blog, I’ve been contacted by Fred Binney’s son Adam. 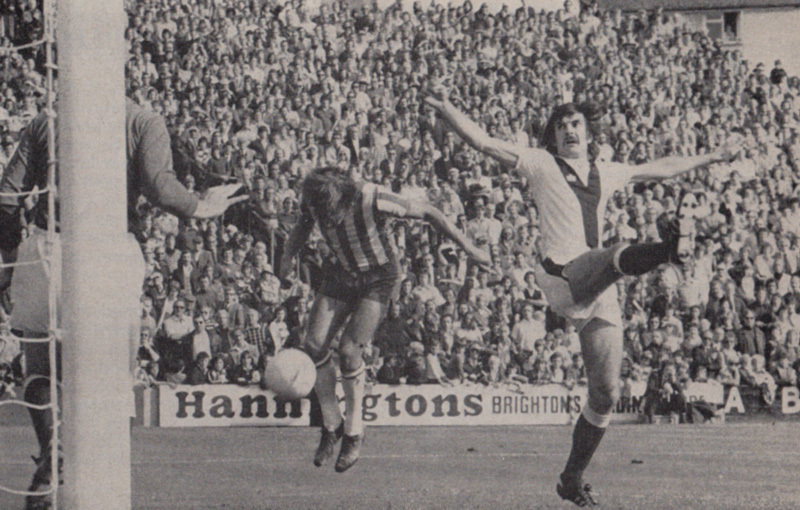 As many of you know, Fred was the Brighton team’s goal poacher supreme in the mid-1970s, hitting 23 League goals in 1975/76 (all but five at the Goldstone) before losing his place to the Ward-Mellor partnership the following season. 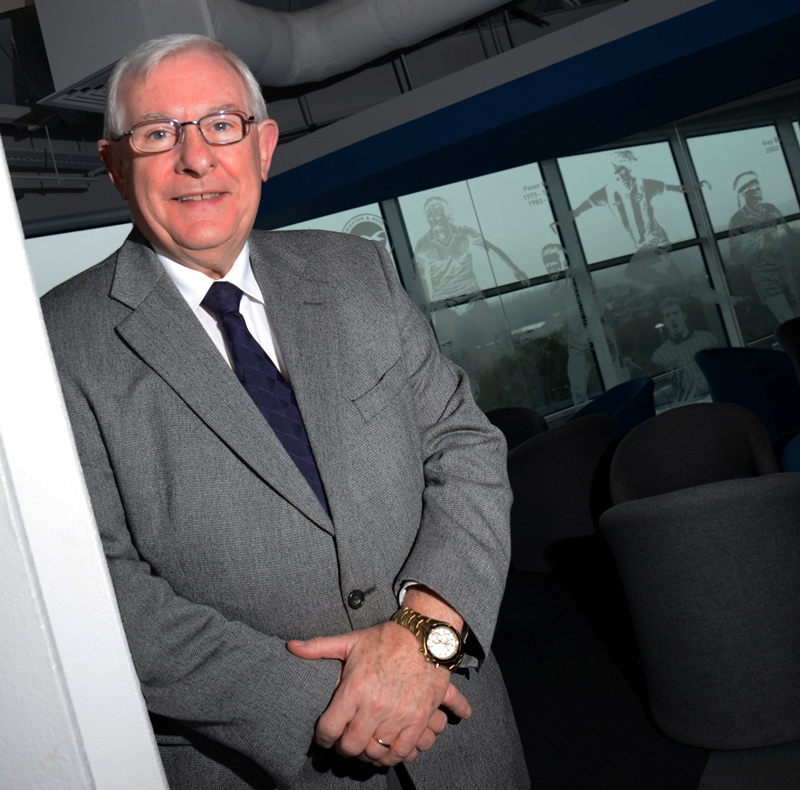 I asked if Fred was willing to do an interview with questions from Albion fans, and he was. 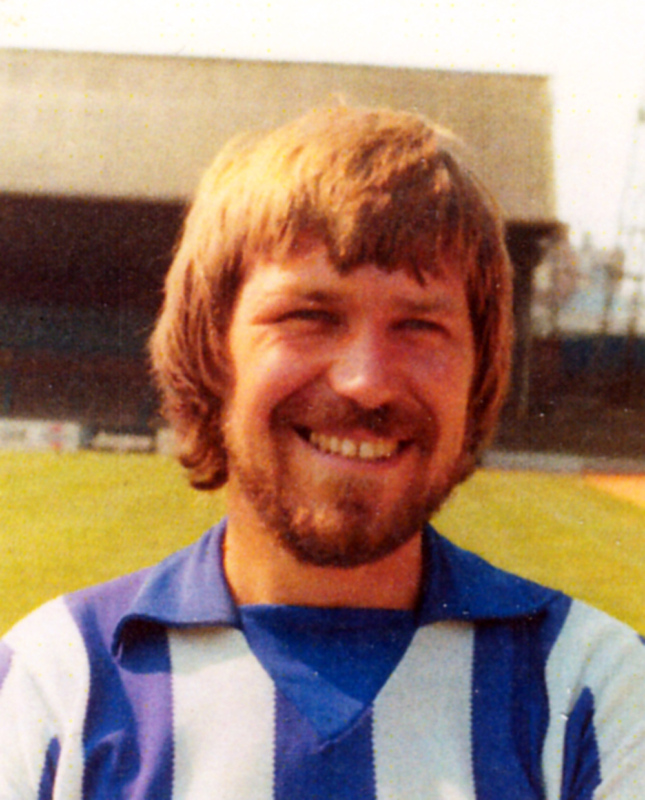 So, if anyone has any questions for Fred, or thoughts on him as a player, please add them as a comment or email them to seagulls@me before adding .com at the end.